Wayne and I've been up the lake a lot these past few weeks. We'll be back in town and Internet territory after the Canada Day and Fourth of July long weekend. 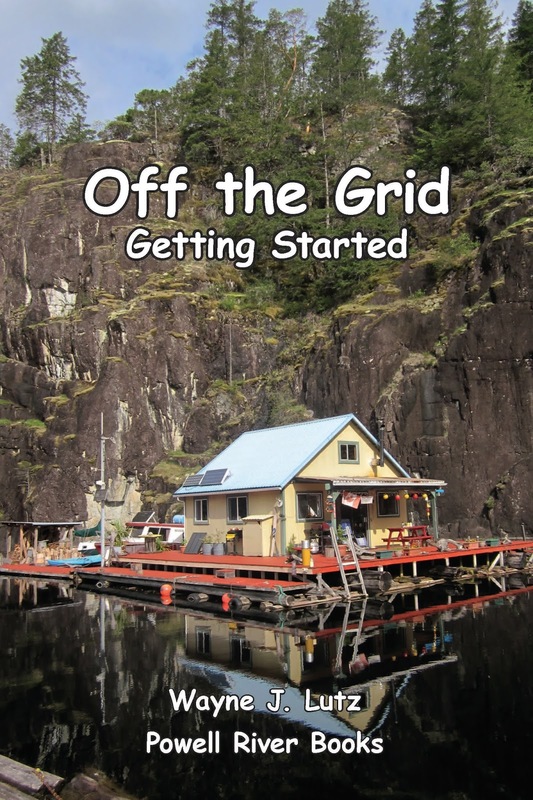 In the meantime, maybe you would like to read more about our off-the-grid lifestyle. 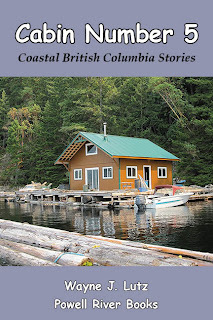 And if you have a Kindle, Kindle app, or e-book reader, it's free. 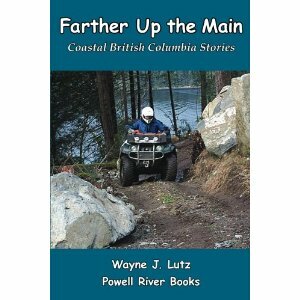 Or go to www.PowellRiverBooks.com for more information and additional titles in the Coastal BC Stories series. My husband Wayne has caught the sailing bug. His first cure was a remote controlled model called Nirvana II. He successfully sailed it all the way across Hole in the Wall from our float cabin home on Powell Lake. Instead of being a cure for the sailing bug, it increased his fever. The next attempted cure was a Laser sailboat. In Border Songs by Jim Lynch, a character uses a Laser to run contraband across Boundary Bay to Blaine, Washington. Wayne was intrigued and spent hours searching Craigslist for one of his own. 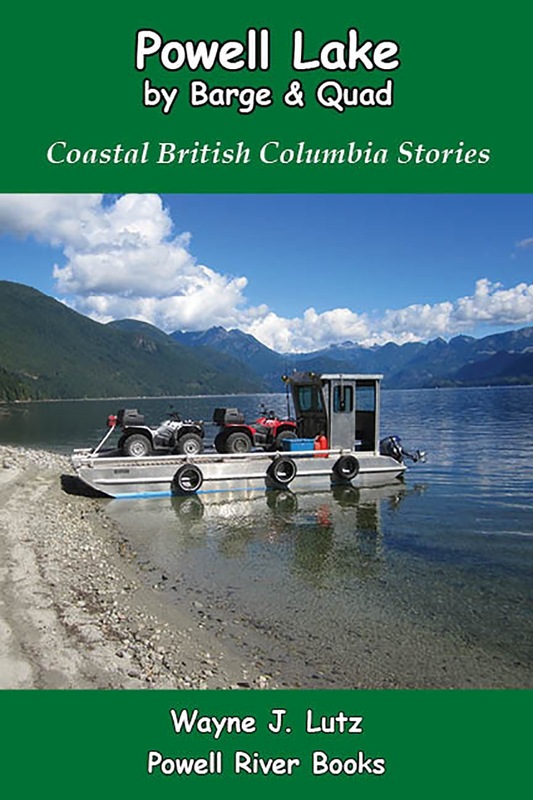 Once it was transported up the lake, it was time for Wayne to learn to sail. The Laser is fun, but the drawbacks are it's a one-person boat and because it's designed for racing, it isn't the best model for leisurely excursions. Rather than curing Wayne's sailing bug, the Laser inflamed his desire. After two summers with the Laser, it was back to Craigslist to find a sailboat we could use together. Wayne is more adventurous than I am, so we narrowed our search to daysailers with the stability of a fixed keel. Just when we were about to give up, we found the perfect model, a 19-foot O'Day Mariner. Now you'll find us sailing the waters around our float cabin home on Powell Lake. So far our longest sail has been to the Shinglemill Marina and back. Wayne likes those brisk breezes, but I'm happy with the gentle steady ones. Are you flirting with the sailing bug? 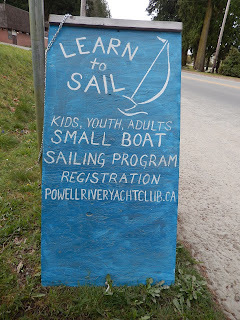 You can try it out for yourself here in Powell River. The Powell River Yacht Club is sponsoring sailing lessons for kids, youth and adults again this summer. If you go up in elevation around Powell Lake, you will find Western White Pine growing among the firs, cedars, and hemlocks. On a trip to Goat Island this summer we saw lots of pines sprouting in slashes and old logging road cuts. They prefer moist valleys and dry slopes from sea level to sub-alpine levels. 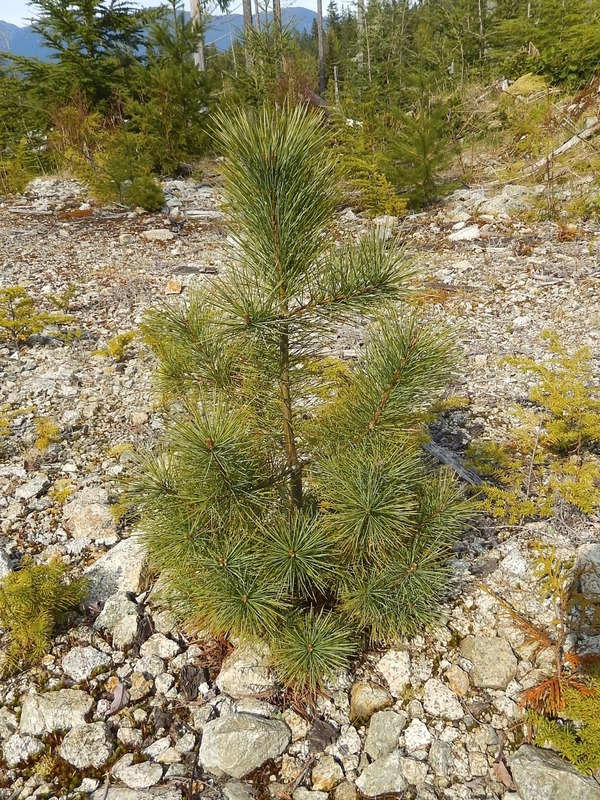 Western White Pine was identified on Mt. St. Helens by David Douglas, and named it for the light colour of its wood. White Pines grows from the interior of northern California through southern British Columbia, and to the coast in Washington and BC. It’s a soft pine that grows tall and straight to 40 metres and up to 2 metres in diameter. The horizontal branches form a dense crown creating a pyramid-like shape. The long supple blue-green needles come in bundles of 5. Pollen cones are small and yellow at the tips of new growth. The seed cones are 25 centimetres long, brown, and woody when mature. First Nations peoples used a tea made from the bark and pitch for medicinal purposes. The bark was also used in baskets and canoe building. Western White Pine is not widespread in Coastal BC because a fungus introduced with nursery stock in 1910 in Vancouver quickly spread, killing young trees. It was such a surprise to see so many young pines flourishing unexpectedly. Because there are few mature trees in our forests, they are not commonly sought for commercial harvesting. 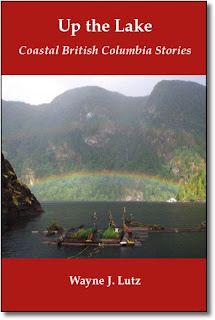 References: Plants of Coastal British Columbia by Jim Pojar and Andy MacKinnon (Lone Pine Publishing, 1994) and A Guide to Field Identification: Trees of North America (Golden Press, 1986) by C. Frank Brockman. I've been intrigued by all the hummingbirds at the cabin now that we have two feeders. In the past, one or two would buzz the front of our cabin looking for something to eat to no avail. The first feeder was such a success, I bought another one to try to keep up with their hungry tummies. The smaller feeder empties before the end of the day. The larger no drip model lasts about two or three depending on how many birds partake. After we experienced a feeding frenzy a few weeks back, things have settled down to about a dozen active feeders. I decided to take some more video and see what they looked like in slow motion. Take a look. In Spring, there's lots of pollen produced in the nearby forest. Some of the heavy producers are alder, fir, pine, and hemlock. the wind and currents create some really artful forms. The the rocky shoreline gets a bright yellow ring along the high water mark. Rhubarb growing in a plastic pot. My rhubarb grows in a pot, so I don’t get too much to work with at a time. As you can tell from the title, I had to stretch my first picking to make a pie. I went to my trusty Fannie Farmer Cookbook to refresh my memory about how to make pie crust. Directions: I like the flaky crust that Crisco makes, and it’s easy to store one of the small packages in the refrigerator. It will also store on the shelf if you don’t have refrigeration available, a plus for off-the-grid living. Mix the flour and salt, then cut in the shortening with a pastry blender until it resembles coarse meal. Sprinkle water over the mixture a tablespoon at a time and mix with a fork. Use only enough water to make the dough hold together into a ball. Divide the dough into two portions. Roll out the first ball until it is 2-inches larger than the pie pan. Put the dough in the bottom of the pie pan and pat it into place. Roll out the second ball also 2-inches larger than the pan. To make a lattice top, slice the dough into long 1-inch strips. Directions: In a bowl, combine rhubarb cut into ½-inch pieces, sliced strawberries, and peeled and sliced apples. Sprinkle with flour, salt and sugar, and mix well. Fill the prepared pie crust and dot with butter. Using the sliced second crust, weave a lattice top over the fruit mixture and crimp the crust’s edges. Lightly sprinkle sugar over the lattice crust if you like a sweet flavour. Bake at 425° for ten minutes then reduce the heat to 350° for an additional 30-40 minutes or until the top crust is light brown and the filling is bubbly. I used a cookie sheet lined with parchment paper under the pie pan to catch any drips, and I’m very glad I did. It saved me a lot of scrubbing to get backed on sugar off the bottom of my oven.